My fellow Miamians continue to impress me with their knowledge of this Magic City of ours. Previous efforts to challenge you with the first ten Miami Geo Quizes have fallen short; you all just seem to know your city too well. Miami Geo Quiz #11 is hopefully going to serve as a challenge to at least some, and hopefully most, of you. Deep-down, though, I’m actually rooting for you Miami: please, continue impressing me! 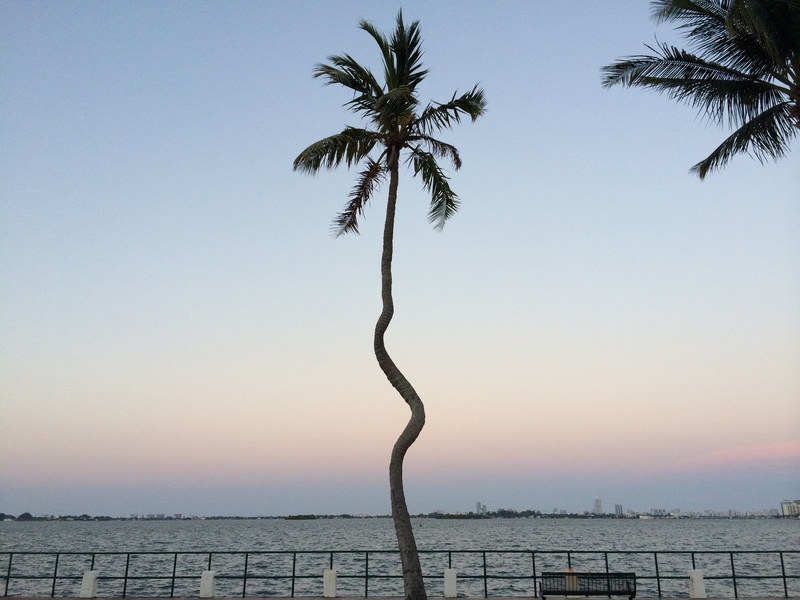 Miami Geo Quiz #11: What is the historic, pre-20th century name for the community in which this corkscrew palm tree, located on a small park along Biscayne Bay, can be found? Miami Geo Quiz #11: Corkscrew on the Bay. Source: Matthew Toro. June 7, 2014. Remember to submit your answers in the comments section below. Good luck, Miami! Thanks for the love, and for reading, Islara! Wow! Miami Geo Quiz #11 already has a correct response! The correct answer is “Biscyane”. Congratulations goes to Mr. Billy Hall! He’ll be receiving the very first Miami Geo Quiz Coffee Prize, kindly provided by Toro Coffee Co.!